Teach your child how we measure temperature with these printable thermometers! practise counting by 10s and 20s, find the boiling point of water, or learn about Fahrenheit and Celsius conversions. Check the "answer sheet" to find a thermometer with the degrees marked. Want to get more out of this exercise? 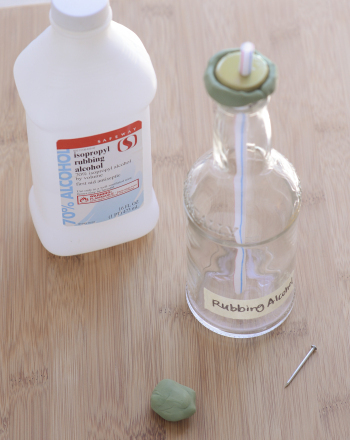 Laminate your paper thermometer and use dry-erase markers, along with a real thermometer to track temperatures! 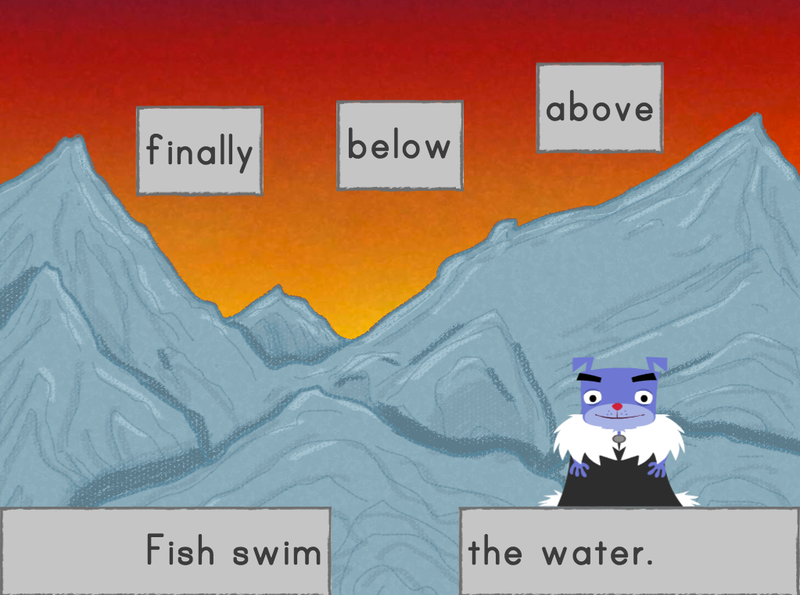 Can you figure out the final temperature by reading a thermometer and subtracting the degrees? Practising subtraction using a thermometer for a number line makes maths fun! In this lesson, your students will get more comfortable with subtracting two digit numbers. This blank comic strip worksheet is the perfect canvas on which students can experiment with the graphic novel format. 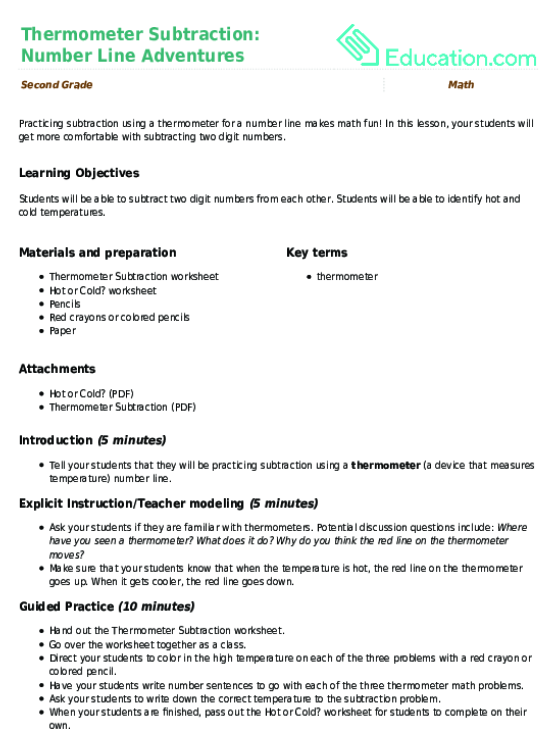 Turn up the heat with this measurement worksheet that helps kids learn how to read a thermometer. Find out how to help the Earth with our Earth Day fill-in-the-blank. With this awesome Earth Day activity, you and your kid can save the planet! How well do you know the U.S. states? 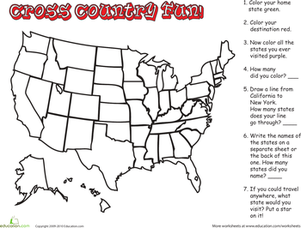 In this geography worksheet, your child will colour, count, and name the states. 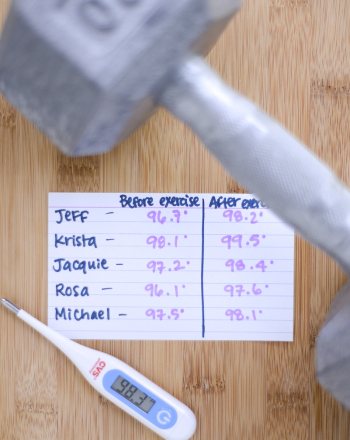 Warm, Warmer: How Does Exercise Change Body Temperature? In this science fair project, we'll use a liquid crystal thermometer to find out whether exercising makes a difference in people's temperature.